VoiceYourView aims to develop technology which allows people to express their perceptions of safety in public spaces wherever and whenever they want – that is, vYv will capture spontaneous comments from members of the public in real time. These comments will be used to improve the safety of public space designs. In VoiceYourView we embedded users in the ideation, design and development process to develop a digital consultation tool that was deployed in a number of contexts from public libraries to city centre-wide. The system developed in VoiceYourView was a comment processing and summary system, with modular input and outputs. Inputs included live speech (telephone style handsets with live transcription), smartphone, kiosk, SMS, social media etc., and the system summarised comments through semantic analysis, and presented back to users in real time. 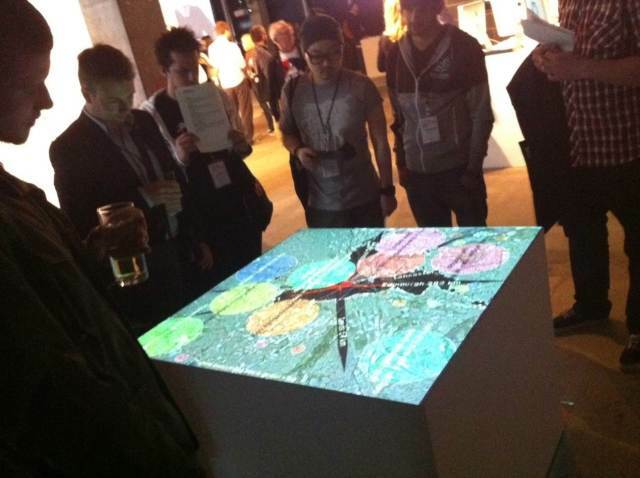 BBC Click featured VoiceYourView when it was deployed in Manchester city centre with summaries projected into a gallery space as part of the Future Everything festival, see http://www.bbc.co.uk/news/technology-13443240.